Hey my beautiful ladies! 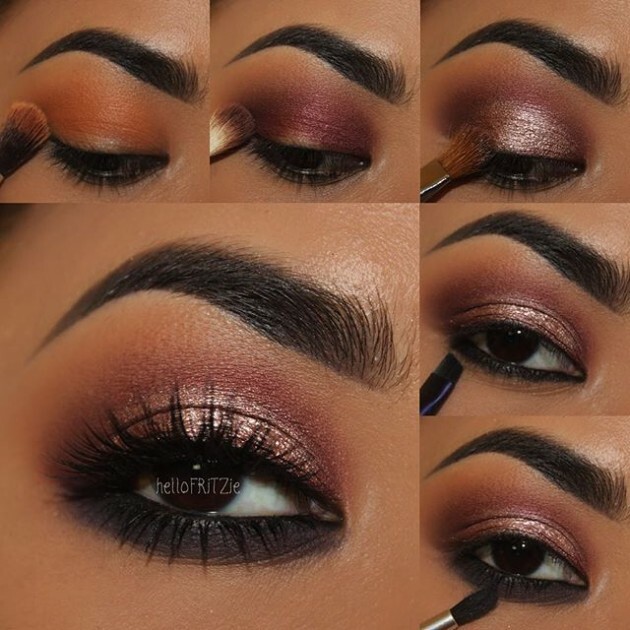 When it comes to makeup, fall is a time when you are allowed to use more darker colors, mysterious looks, every type of smoky eyes, dark lips, darker blushes and everything that reminds of fall. 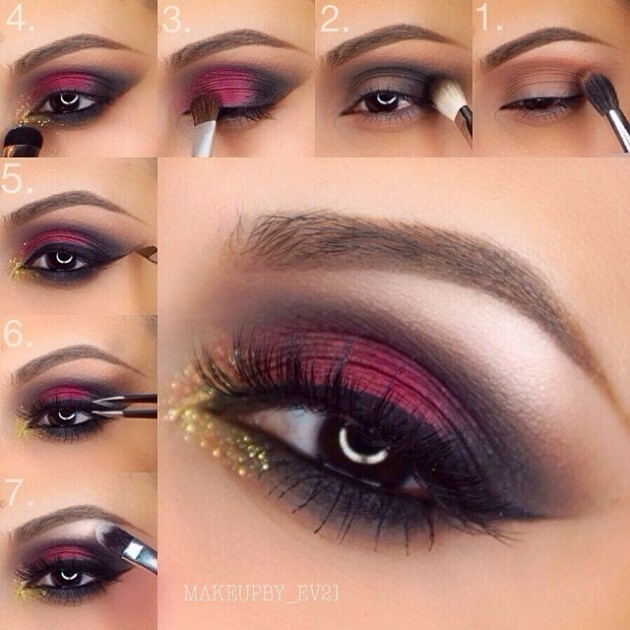 For today I have chosen for you 17 absolutely stunning step-by-step makeup tutorials that you must to try this fall. They are just universal, for every eye shape, color, or type of taste. 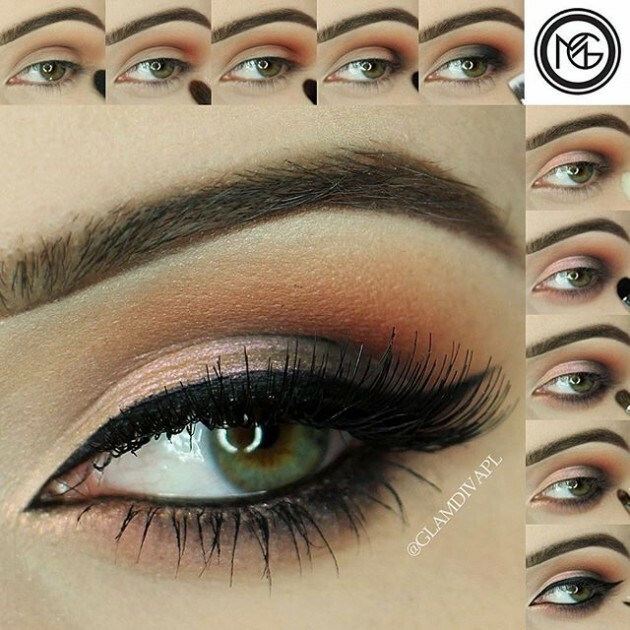 As you can notice, the colors that are used in the tutorials below are neutral, they blend beautifully with the skin and are great for those who want to use more earth colors to their eyes. The metallic hues are the ones that always take stage during the fall season. They are usually part of some night makeup ideas. Dark purple, blue and teal are also good colors for the following fall nights. 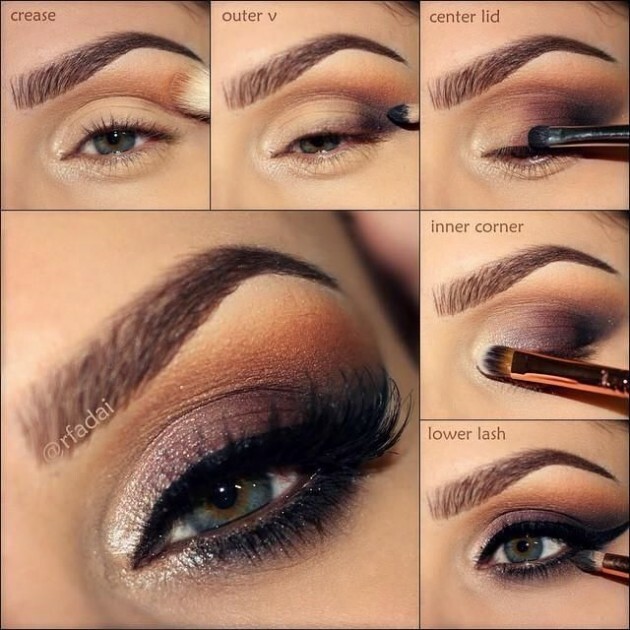 And when it comes to day makeup looks, the natural eye makeup look is the best choice for every season. 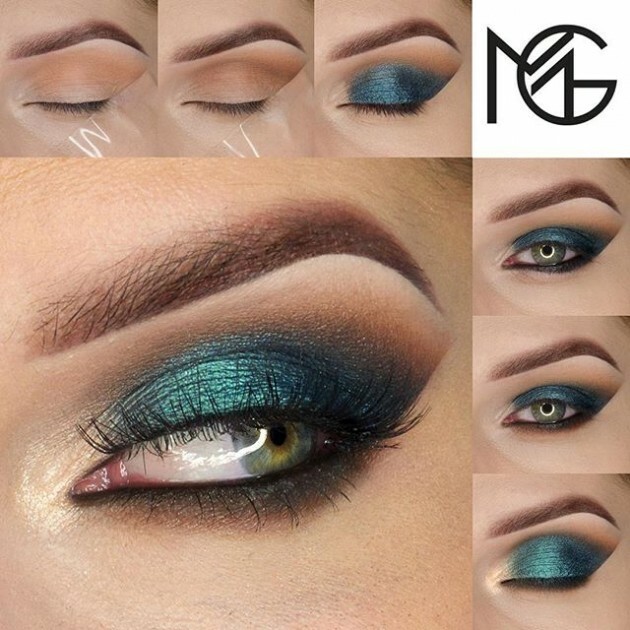 In this post you can find different suggestions, daily looks, more daring ones, for special occasions, for night out, or the ones that scream natural and beautiful. 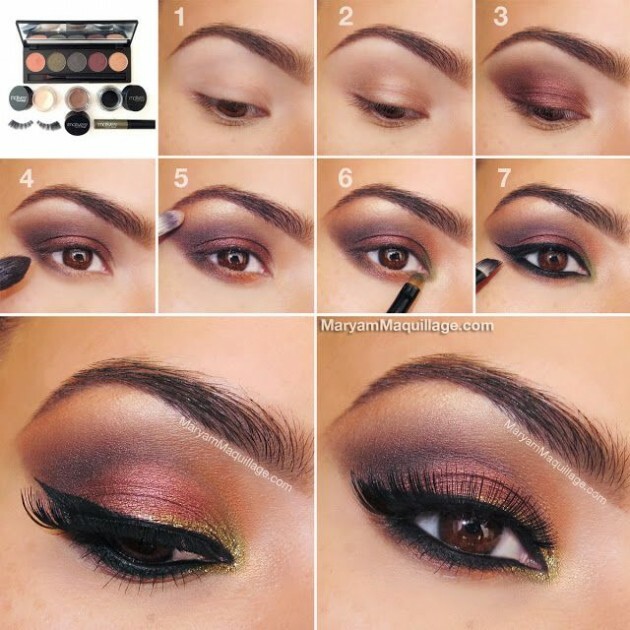 The best thing about these step-by-step makeup tutorials for fall is that they can be your guide to doing your makeup by yourself. 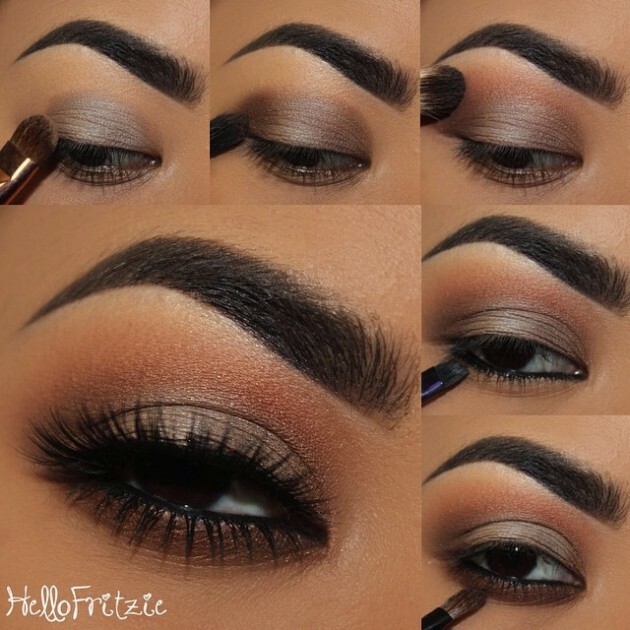 You will save some time and money for not visiting a makeup professional every time you need to. 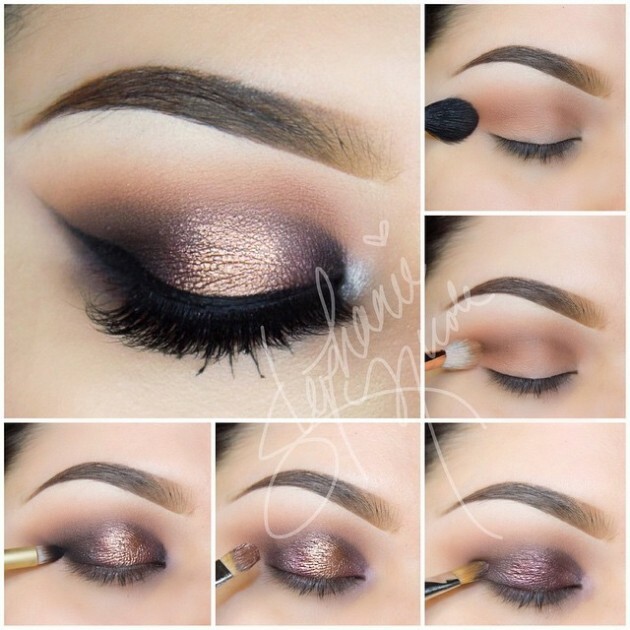 You just need to get the right eye shadows, follow the steps precisely and you are ready to go. And if you don’t get it right from the first time, don’t get discouraged, but continue until you make it. 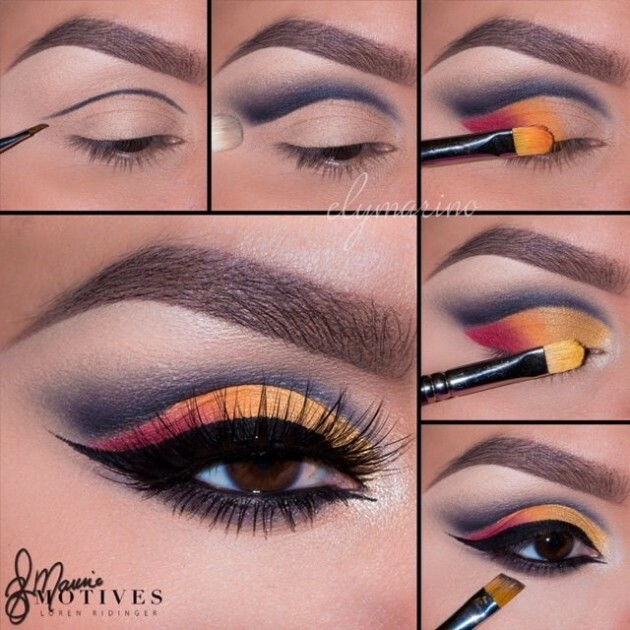 And now, scroll down now to see the fall makeup tutorials that we have chosen for you today and choose which one you will try to copy first. Enjoy! 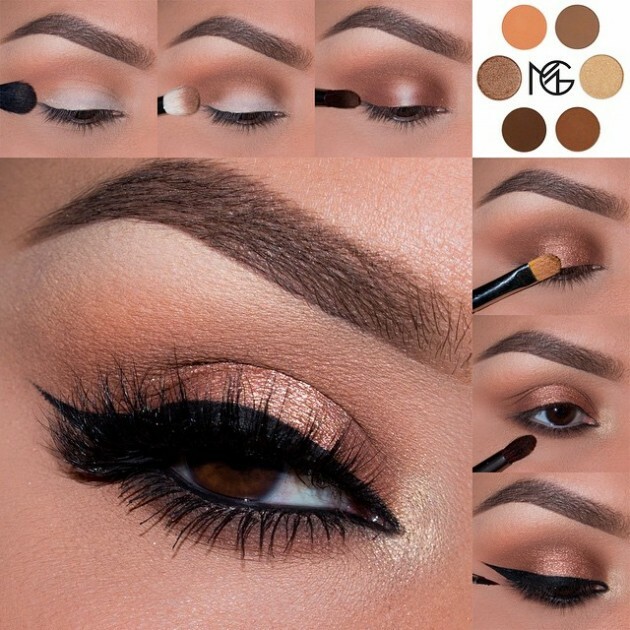 This look is for the ones that are looking for a natural look that has minimum amount of makeup, makes the eyes pop but is just not too much. 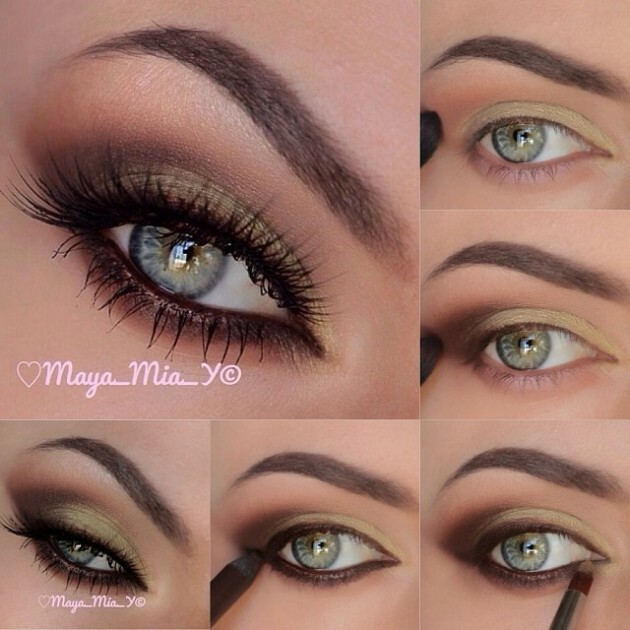 You can wear it with darker lips or with some neutral lip color, to give your face fresh makeup look. 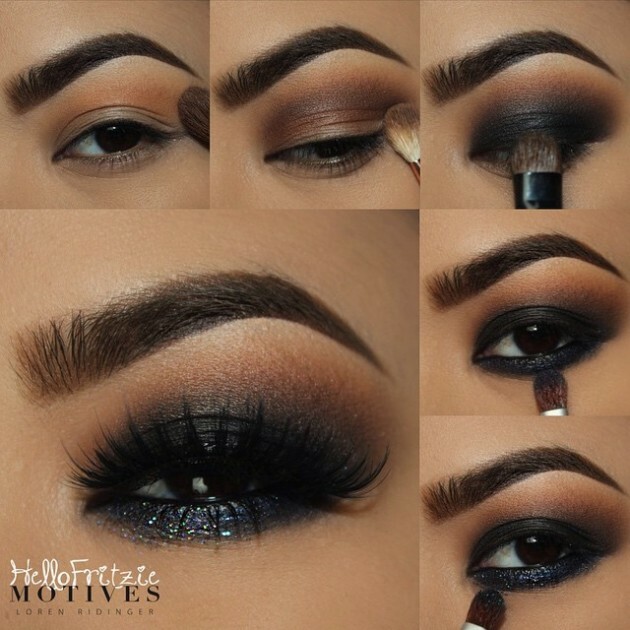 This darker smoky eye look can be achieved with dark brow shadow, and can be worn as a night makeup, or the ones that are little more bold, they can rock in the day light. 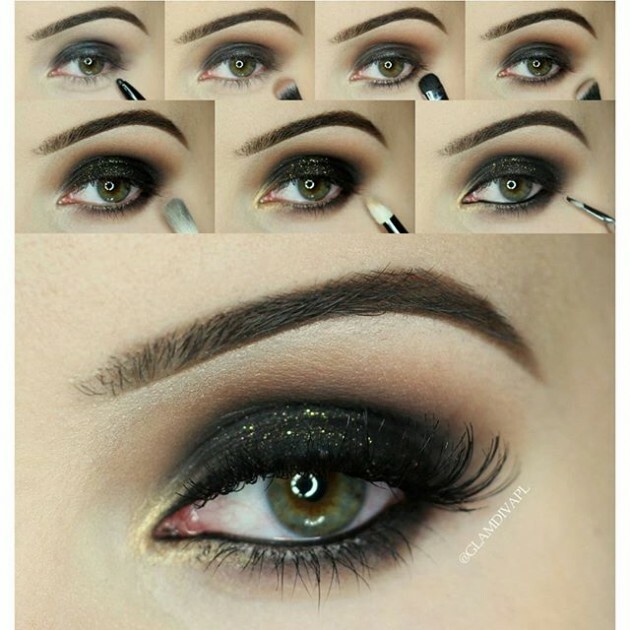 Beautiful glamorous makeup, that can suit brown, green or blue eyes the same way, because the brown tones adapt to every skin color. 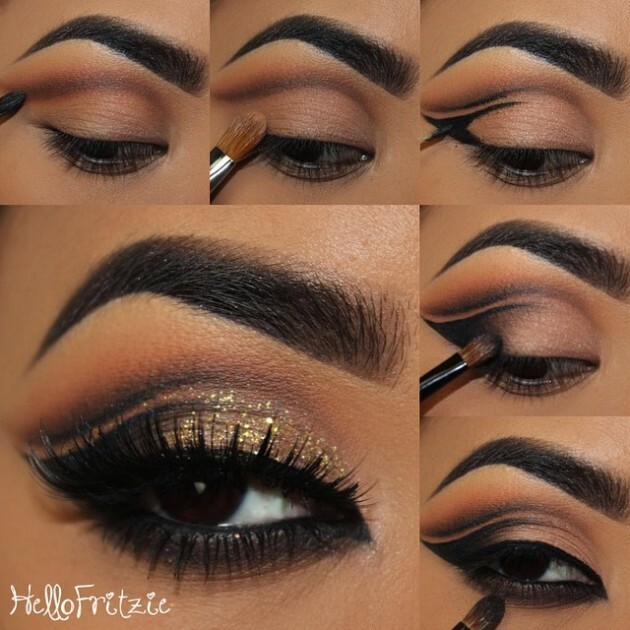 The black eyeliner, the shimmer and the false lashes just give an amazing finish to this look. So, my ladies, what do you think? 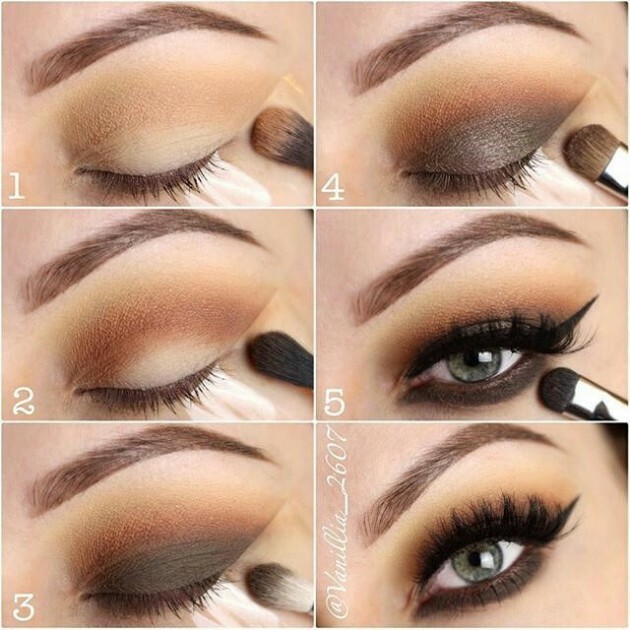 Tell me in the comments which one from the above makeup tutorials you would try first. Thank you for reading and don’t forget to stay up to date with the content of Fashionsy to find many other step-by-step makeup, hair and nail tutorials.